A spokesman said emergency services were called at 9.24am to the junction of the A259 Felpham Way with Felpham Road and Downsview Road, Bognor Regis, after a lorry and a cyclist were in collision. They added that the female cyclist has suffered potentially life-changing but not life-threatening leg injuries in the incident. Nearby roads have been closed and The Kent, Surrey and Sussex air ambulance is in attendance. 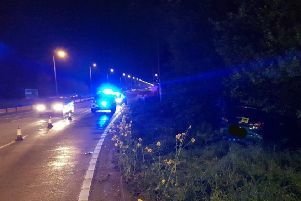 Anyone who saw what happened, has dash-cam footage of the collision or other relevant information, is asked to contact police online at HERE or phone 101, quoting serial 395 of 22/06.